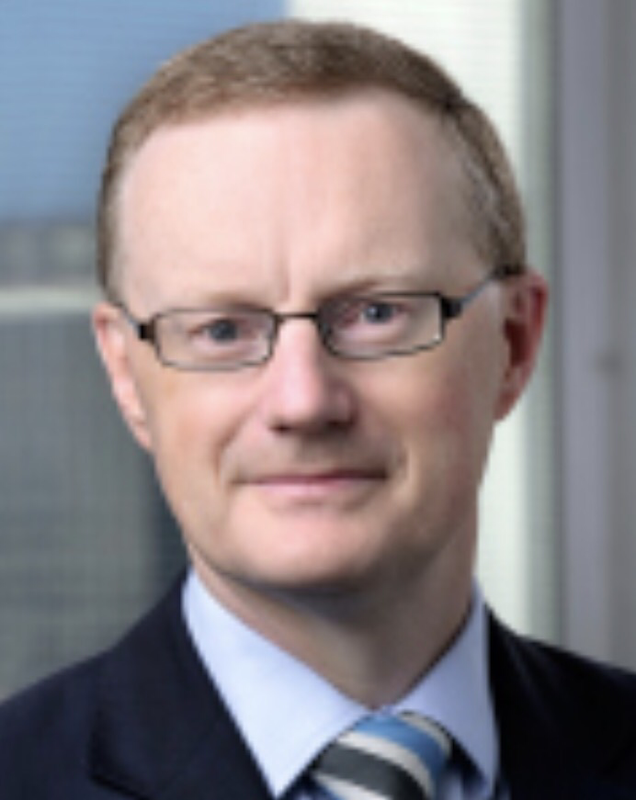 RBA Watch: Lucky Phil settles a tough room. Over the soft tinkle of China and silverware, amidst the contented purrs as Peach Melba slid from hundreds of spoons, the Lucky Country Central Banker in Chief Governor Phil ‘Lucky’ Lowe cast a spell and reminded all assembled of the central myths of the Australian economy. First were some helpful “TripAdvisor” tips on spotting some scenic Aussie wonders that a first time visitor might miss between Koala cuddles and feral rumbles with Skippy. “……….You also find a country that is prosperous and wealthy; Australians enjoy a standard of living that relatively few people around the world enjoy. You find a country that has grown consistently for some decades now, despite a pretty volatile global environment. Australia’s year-ended growth rate has been in positive territory since 1991. Did you notice the skilful way Phil conflated ‘free flow of capital’ with productive investment? A true Sith Lord in action – confusing the public – and Penny Wong – with the notion that if we want productive capital inflows we must have completely free capital inflows. No mention of the fact that most of our trading rivals are acutely aware of the difference between productive capital inflows that add to our productive capacity and the unproductive type that do nothing but bloat our cost base and exchange rate. Phil will be most popular when he next reports at the monthly gatherings of the BIS that Australia remains wide open for acquisition. Productivity – It seems that we have not done much in recent times beyond build even bigger robot mines. Asian engagement – Less romance and more selling stuff like “Buy a degree and the Permanent Residency comes free” deals or “Have a Cobber make you Coffee” travel experiences. Where it makes sense to do so? What does that mean Phil? That diffident tone is a bit worrying, surely you ‘know’ that the public sector should ALWAYS rely on private finance – in other words private bank money with an interest rate trailing commission attached. The Men in Black know the way to Martin Place you know! Finally, Phil threw the Treasurer a bone – though one he recommended he chew slowly rather than wolf down. Household debt, the secret reactor of the Australian economy. The network of drunken sailors whose spending has allowed governments since the mid 1990’s to claim to be economic conservatives – as they skim some cream (stamp duty, developer levies, GST etc) from those exploding private bank home loan accounts. Phil finished off with the traditional loyal toast to fiscal chastity. It is a shame that Phil did not spend a few minutes explaining how households can reduce their risky balance sheets while the federal governments does the same. But then after dinner horror stories would probably cause the “A50” membership to run screaming to the airport and board then next A380 back to the international centres of capital. Did anyone mention, or notice, “our Phil” got his PhD from MIT with Krazy-about-Trump Krugman as advisor? Yes I fear Trump is not who he pretends to be (as is Krugman), he will do his best to associate so called “protectionism” with racism and any other divisive society issue. Is he very subtly admitting the crisis is still there, just another bubble smoothed over with more filler (household debt) to hide an even bigger problem underneath. Is our economy already wrecked to the point that it could be collapsed in a matter of hours if someone didn’t comply? Could he explain how the Committed Liquidity Fund (CLF) is structured to come to the rescue of the commercial banks in such a crisis and why they are allowed to sell their dog loans to the Commonwealth (RBA) without it assessing their quality (self securitisation). Is the “Commonwealth of Aust” our gov’t and if this is a public body why is it allowed to rescue very profitable businesses (in the good times) when at the margins things start going bad? is this not corporate welfare at the highest level, enjoyed by those sitting in that room. All the questions you raise are good ones but I am not sure that Lucky Phil would even see them as questions. Increasingly I have found that the true believers have almost complete cognitive dissonance when it comes to banking and the fused public/ private model of public money. They seem to have no problem lecturing everyone about the joys of free markets in goods, services and capital while endorsing our current monetary model which is the most outrageous and systematic example of corporate welfare and rent seeking the world has seen. They just assume this weird anomaly from all their other beliefs is just some incontrovertible fact of life. I will post a few books reviews over the coming weeks that show this pattern of cognitive dissonance time and time again. It would be fascinating if it were not so damaging to so many people and the environment in which we live. Back in a time when the brain could identify right from wrong, now it has been so blurred most cant see a difference. To think we let go of a guitar playing, choir singing, god bothering Sylvania Waters dude for the upbeat Lucky Phil and the New Lowes. The song, however, remains the same. It will be interesting to see how Lucky Phil handles Donald Tootin’ on his trumpet loud and mean. At the moment, like most of the neoclassical universe, he appears to assume that nothing can change the vision splendid.